It was the children’s book, Letters from Felix, by Annette Langen that added the idea of traveling to my childhood imagination. It stars a (stuffed) bunny, which just so happened to be my favorite animal as a kid, who writes letters to his ‘owner’ from around the world. A bunny + illustrations of different countries = happy kid. Today, my mom would call it, Postcards from Bethany. I haven’t made it around the world like Felix; however, I’ve sent my share of postcards from overseas…and, thankfully for my recipients, the end is nowhere in sight. But, how did leaving the US go from my childhood imagination to adult reality? It all started in 2002… It was nearing automne – the leaves were beginning to brown and the air was filled with the smell of pine-wood burning in chimneys all over suburban Chicagoland. Needless to say, my favorite season was approaching…and then I was awarded the opportunity to go to Paris for a week! But, why? My cousin was about to tie the knot with a française. That’s why. 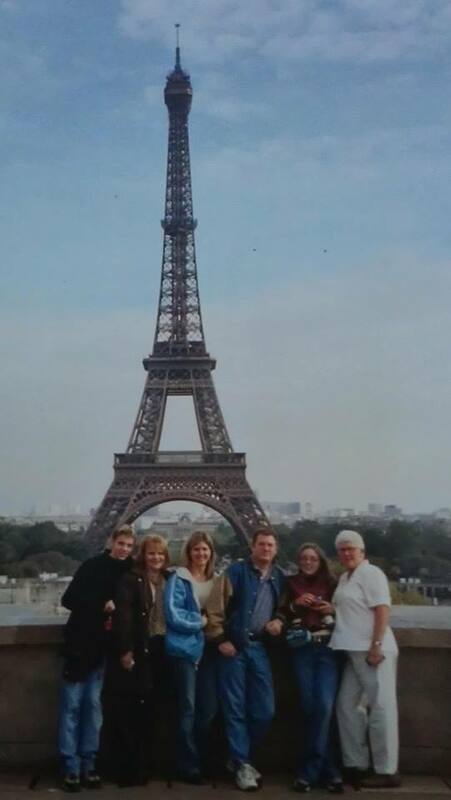 A round-trip flight to/from France is expensive, so, my parents had to make one of the most important decisions Ever: “send one of us to France or one of the kids…” Out of the four of us, I was the only one taking French, the only one saving money to travel in France with my class during my senior year, and the only one who could easily miss a week of school/clubs. So, who was chosen? Moi. But, not without a compromise: Instead of traveling with my class, I opted to use my funds (with my parents help, of course) to witness my cousin’s marriage. I sensed some jealousy, but, at least one of us got to go, right? Miss school for a week + practice French + witness an actual wedding in France = happy teenager. *photo courtesy of my cousin, E. Kies. It was in 2002 when I experienced the true meaning of “French seating” at a typical restaurant, climbed to the top of La Tour Eiffel, took a boat tour on La Seine, explored Notre Dame and Le Louvre, saw my reflection in a gazillion mirrors inside Le Chateau de Versailles, tried escargot and gelato (which changed my life), drank my first sip of non-communion wine, walked the narrow streets of Paris, and witnessed a wedding in French (minus the vows) and the reception. It didn’t take much to hypnotize me. 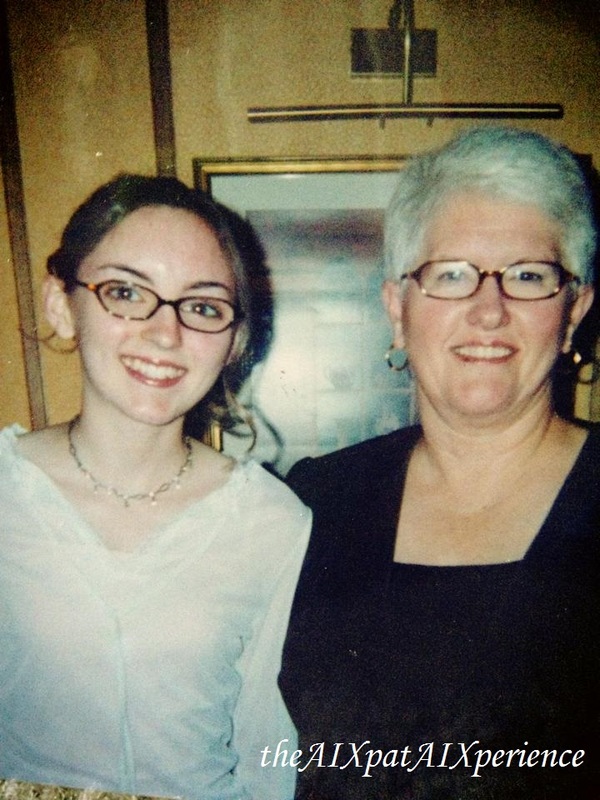 In fact, my mom will never let my aunt live this one down because my aunt convinced my parents that it’d be a “great, chaperoned experience.” But, for me, it was more than that. It was this trip that ignited the desire to return someday. And then I did return. For good. 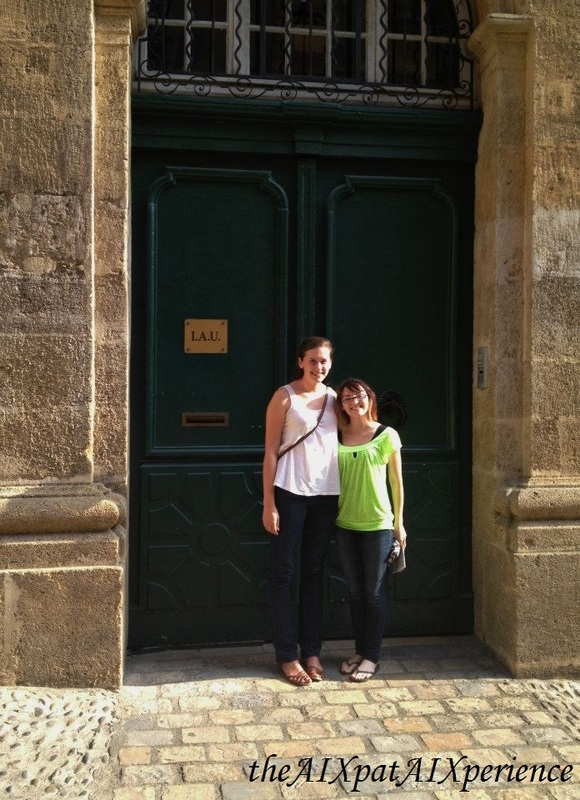 In 2012, I was nearing the end of my French studies, so, after much decision making, I decided to study abroad. I researched many programs, but I kept going back to one: IAU (Institute for American Universities) in the southern city of Aix-en-Provence. So, I filled out the forms, handed over several hundred dollars and a multitude of passport sized photos… and viola! I was accepted. This experience changed my life in many ways. First, I learned to live on my own in another country where hardly anyone spoke a lick of English. 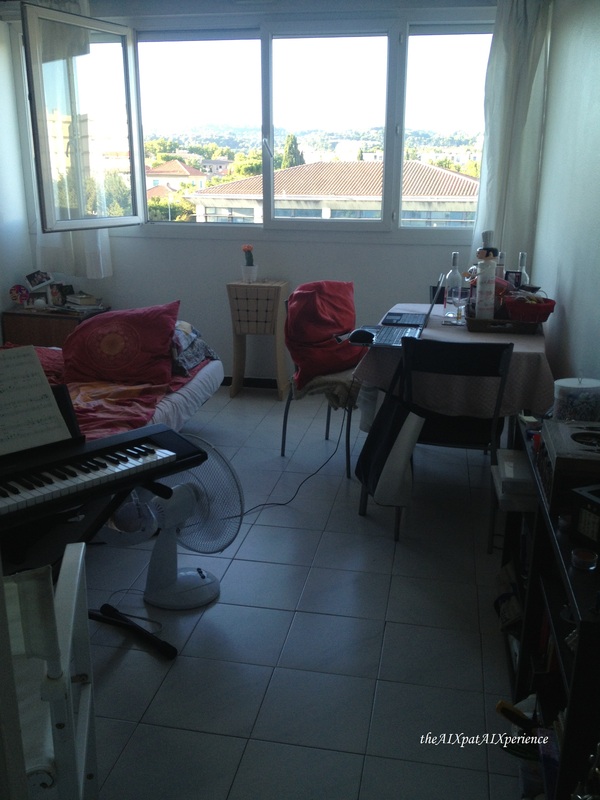 I stayed with a host mom (no, she didn’t speak English) and another female that also attended the university. Thankfully for us, we became great friends. Second, I studied French language, literature, and business as well as the French school system. All of my classes were spoken entirely in French, the material was in French, and they were held by French professors. That is, with one exception: the course on the French school system was in English (British-English to be exact) and included a teaching clinical, where I taught English once a week to French children at The English Bubble. This clinical experience fueled my continuation in the teacher licensure program at NIU (Northern Illinois University). It also gave me the drive to return to France to teach English after finishing my studies. 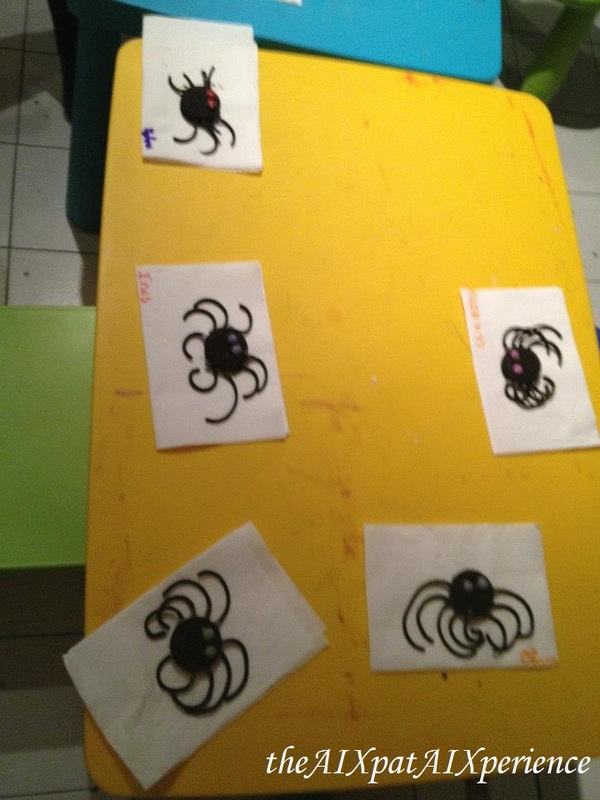 *Spiders in honor of the American Halloween tradition made by my 6-7 year old students. 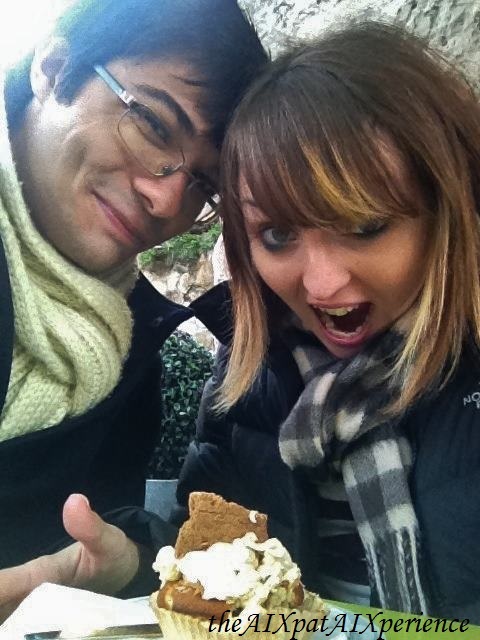 Lastly, I met mon chéri during my studies in Aix. It was October and my favorite holiday full of costumes and pumpkin-everything was approaching…except, I was in France where ‘pumpkin-everything’ is more like ‘pumpkin-what?’ …and I had no costume. Boo. As I was suffering from French-Halloween culture shock, my host mom’s friend invited all of us to dinner. 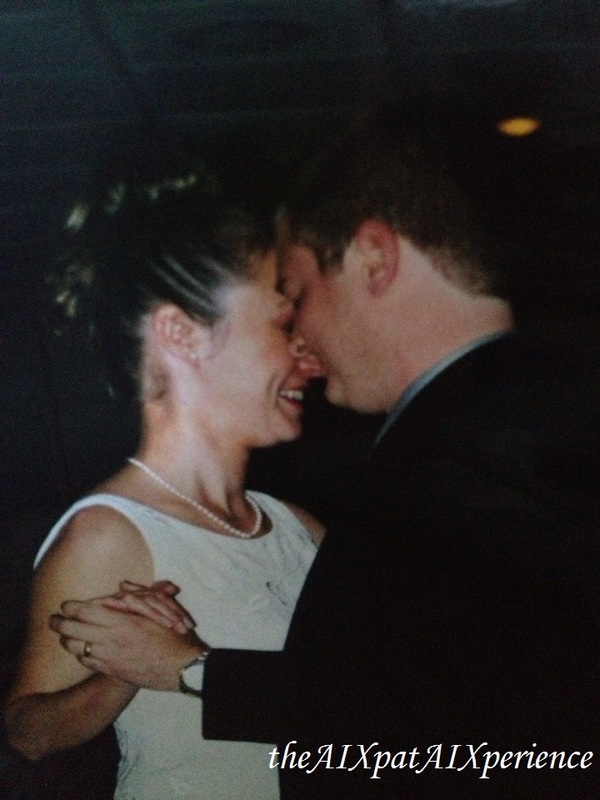 How was I to know that I would meet the man of my dreams-ish at this dinner? I must be really lucky. As Halloween approached, that culture shock, you know, the one that had me feeling lousy and pumpkin-deprived, dissipated rather quickly. I made an actual French friend. A français. A kind, smart, cool.. not-like-the-stereotypical-français français. He quickly rose to the top of the important-things liste…but, what can I say? Living in France + An amazing French boyfriend = hypnotized American. Like Felix, I returned home to the US after my travels; but, it was not a happy return. France was always on my mind and I was unhappy in the US. Not to mention that I had embarked on the ‘voyage’ of a long-distance relationship (merci beaucoup, Skype!). Everything that past study-abroaders warned me about became reality: no one understood me (except my SAFFs) and I only annoyed my friends and family with re-counts of my experience. At the same time, everything (except Mexican food) in the US annoyed me, so, I began to question it all. Why couldn’t I walk everywhere? Why did I have to fill the entire cart at the supermarket with over-sized containers? Why did I have to fork over hundreds of dollars in addition to the insurance I paid into healthcare? What was with all of the ads about pills? Why couldn’t I find a decent (taste and price) baguette anywhere? Why was everything so fast paced? 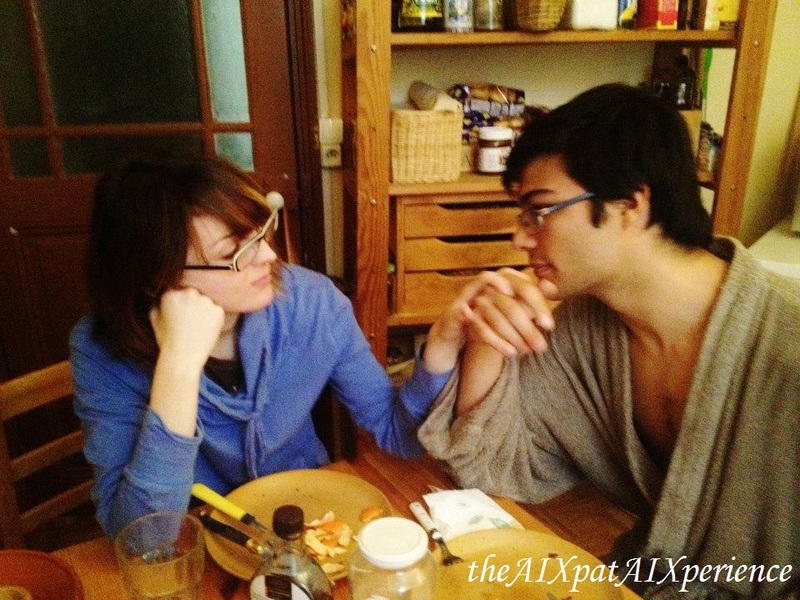 Why couldn’t I have a life like the Aixois? At this point, I was already paving the path for a return to France. And then one afternoon, while cleaning my room, I found Letters from Felix. Of course, I read it again…it’s a classic. 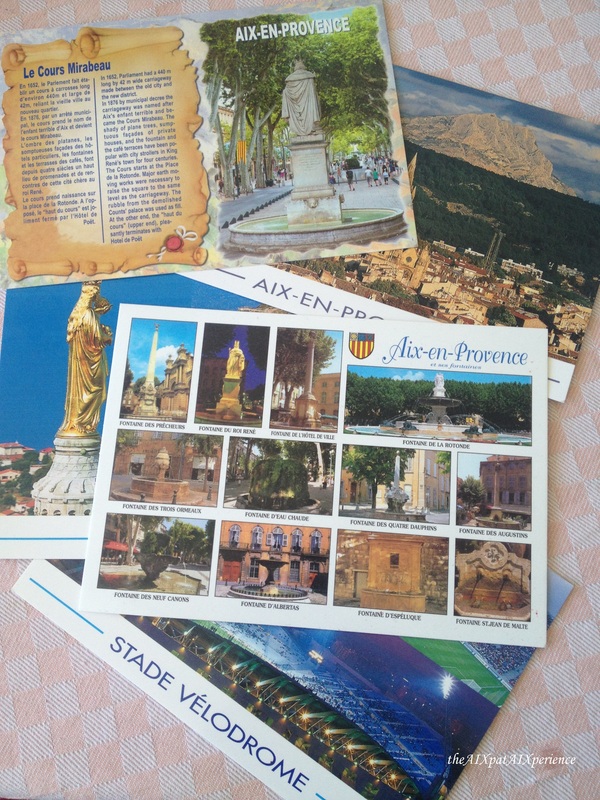 It was then when I realized: I can be like Felix – someone who is always sending letters or postcards from abroad. Thus, I discovered that the only thing standing in my way was my somber mood. I quickly turned that around and focused on living a life more like the Aixois. So, during the last semester of my studies (student teaching French), I searched the internet for employment opportunities for Americans in France, but I came up empty handed. I was at a point where I thought I’d never get a job in France. 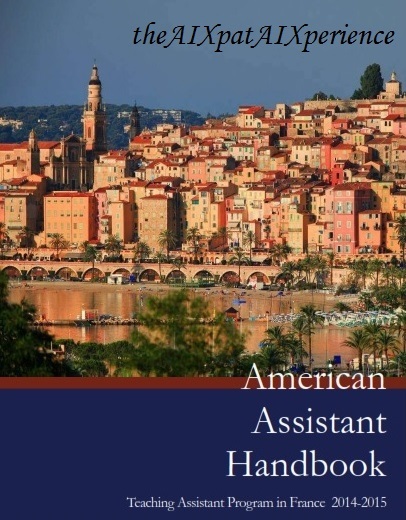 Thankfully, I had more success with the applications I sent for several teaching-in-France programs: I was accepted into TAPIF (Teaching Assistant in France) for the 2014-2015 school year. 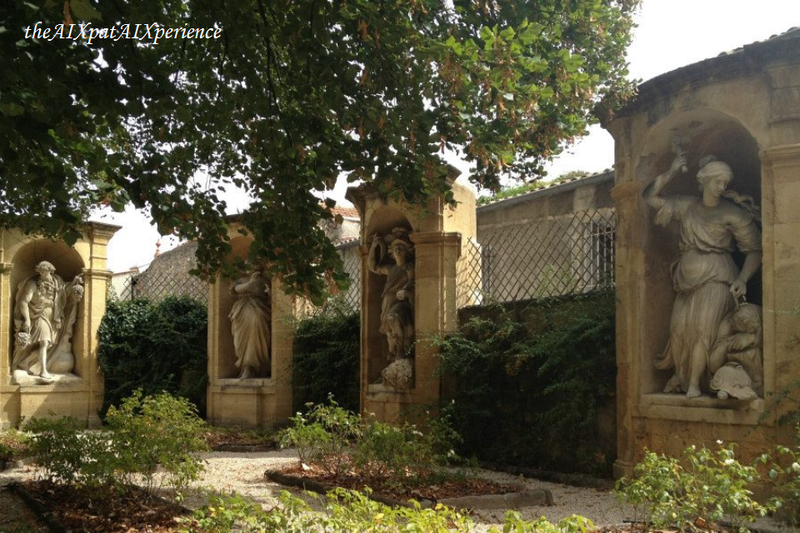 Fast-forward to summer 2014: I’m back in Provence. Only this time, I’m thriving in French culture and living with mon chéri. 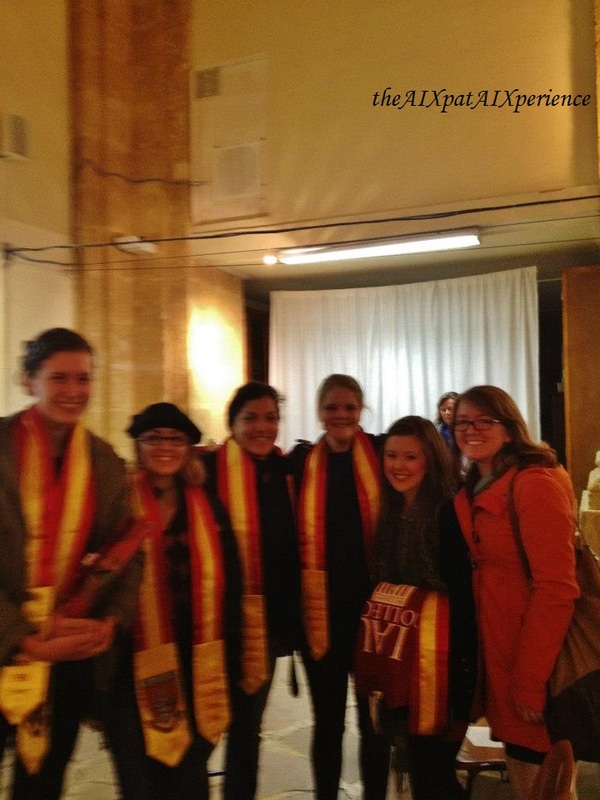 What were your experiences returning home from studying abroad? How did you find a way to return overseas after your study abroad experience?